The committee operates under terms of reference, a copy of which can be found on our website www.barloworld.com. The committee has a clearly defined framework, aligned to the Companies Act, the King Report on Corporate Governance in South Africa (King IV™) and other relevant legislation and standards, to determine the most effective processes and reporting formats to deal with matters under the committee's mandate. The committee recognises that some of its statutory functions overlap with the functions or mandates or terms of reference of other committees of the board. Where appropriate, these functions have been aligned to the mandate of the committee. In other areas of overlap such as safety, health and environmental matters, the committee, without derogating from its duties and responsibilities, worked closely with and relied upon the work of other committees of the board. The committee strives to apply relevant codes of best practice including, but not limited to, the United Nations Global Compact Principles and Sustainable Development Goals, the Organisation for Economic Cooperation and Development (OECD) guidelines regarding corruption, International Labour Organisation Decent Work Agenda, and the principles of good corporate citizenship as espoused in the King IV report. The committee has access to any director or prescribed officer or employee of the company. Where appropriate, these levels of employees have been asked to provide information or the explanations necessary to enable the committee to deliver its mandate. Human capital: Monitored the implementation of the key people initiatives that will enable the achievement of the group's ambition and strategy in an aligned and sustainable manner. 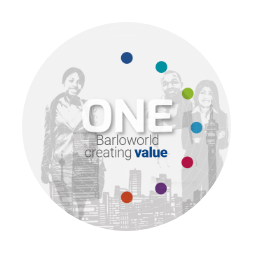 Key focus areas included overseeing efforts to develop a One Barloworld leadership competency framework and integrated talent management, performance optimisation, learning and development, as well as remuneration and reward to ensure optimal human capital resource allocation. Diversity and inclusion: Approved the revised diversity and inclusion targets for the group for 2019, 2020 and 2022 by gender, race and grade. The strategy involves identifying and eliminating any employment barriers, perceived or real, and to promote demographic representation in the workplace that more closely resembles that of the communities in which we operate. Ethics: The Ethics Line reporting process was revised to further promote and instil an ethical culture. The amended process has enhanced the effectiveness and independence of the investigations carried out across the group. Stakeholder engagement: The company continues to evolve its approach and strategic intent to stakeholder engagement. The process of mapping stakeholder relationships is being undertaken across the group. Stakeholder engagement continues to be key in enhancing the group's sustained value creation. Empowerment and transformation: As part of ongoing efforts to deliver on its responsibilities, the committee will continue to review, monitor and report on areas under its mandate. We have introduced the Transformation and Empowerment dialogues (TE-Dialogues) during the year which are being rolled out throughout the group. We also put increased effort on preferential procurement across all divisions and business units in order to bolster access to the Barloworld value chain for black-owned and black women-owned entities.